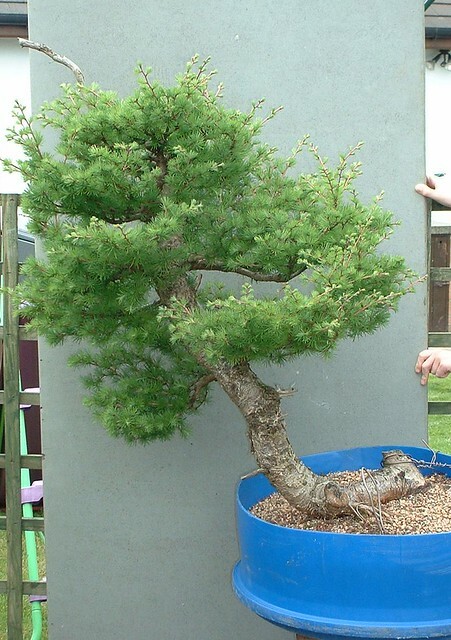 History: This large sized tree was bought as raw collected material from Willowbog Bonsai back in 2002. 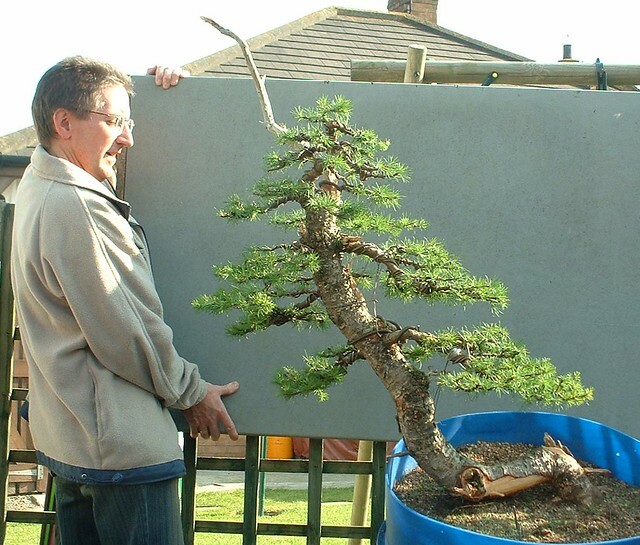 Collected by Peter Snart in Kielder Forest in England, the tree was passed into the hands of Stephen a club stalwart. 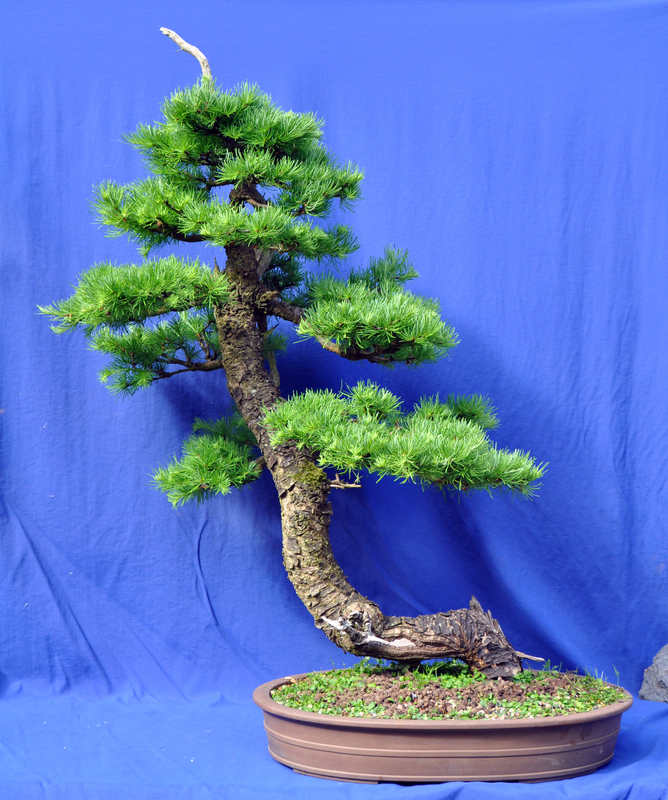 Stephen did the initial styling in a workshop with Salvatore Liporace but wasn’t happy with the image. 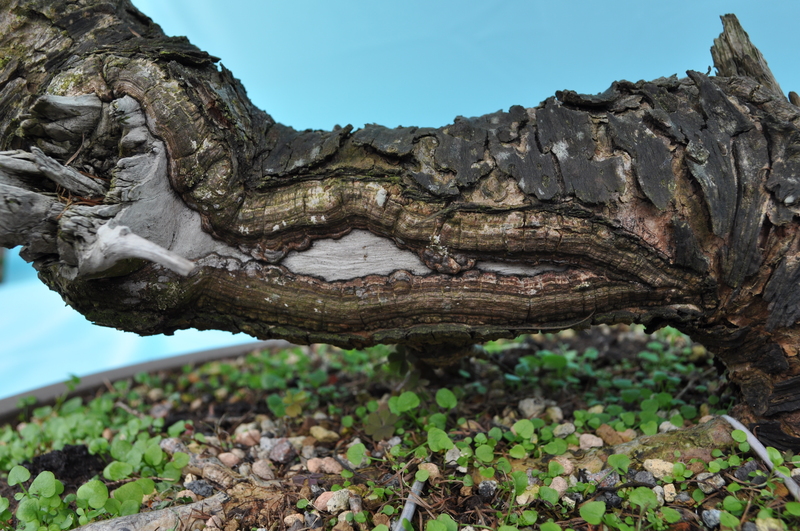 The tree was reworked with Robert Porch and the unusual bend at the base of the tree uncovered and made into a feature. 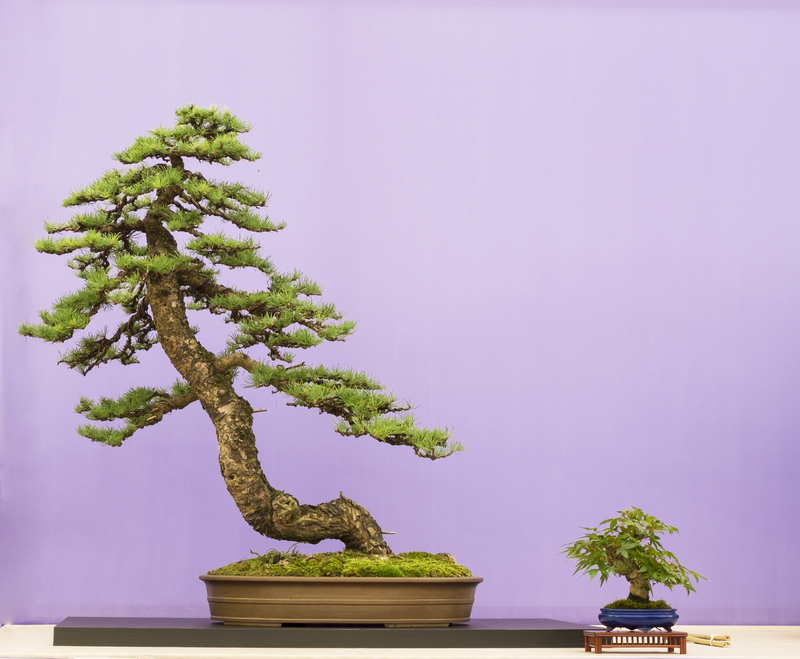 This makes the tree stand out and a bit of a talking piece at exhibitions. 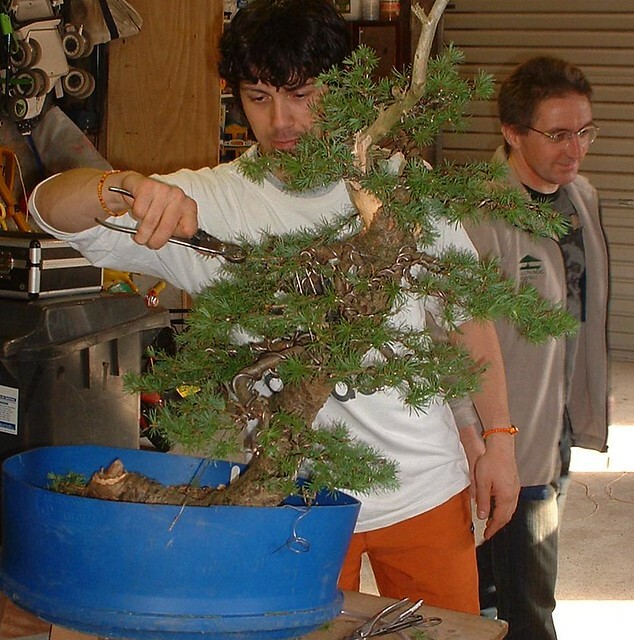 In 2003 the tree was furher refined by Marco Invernizzi. 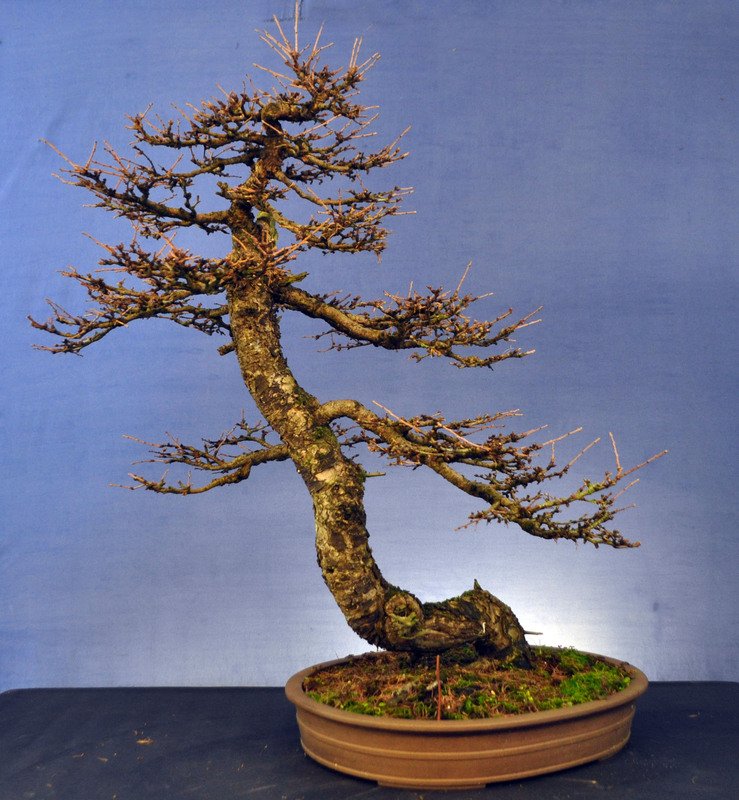 The foliage has been refined many times over the years and a large jinned apex removed more recently. 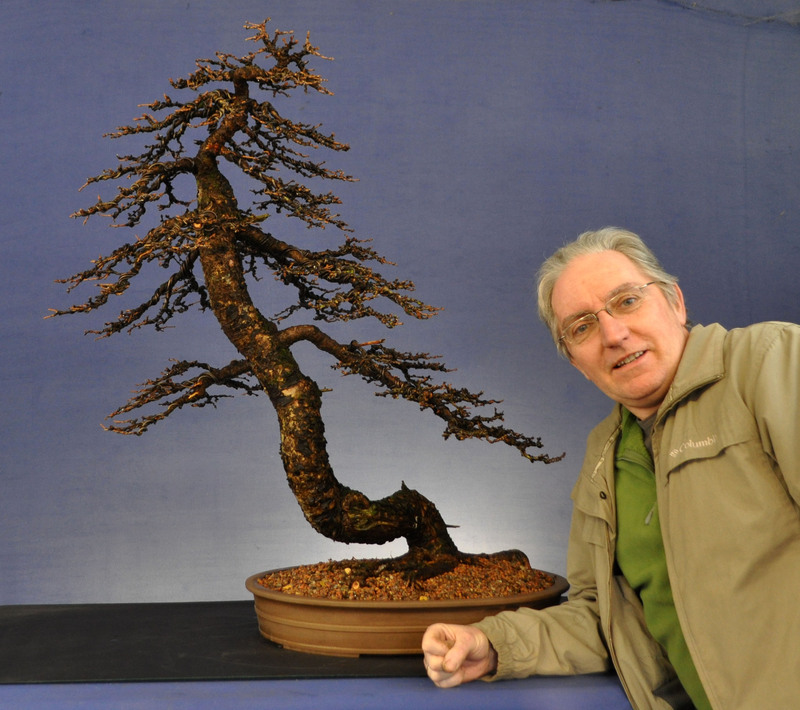 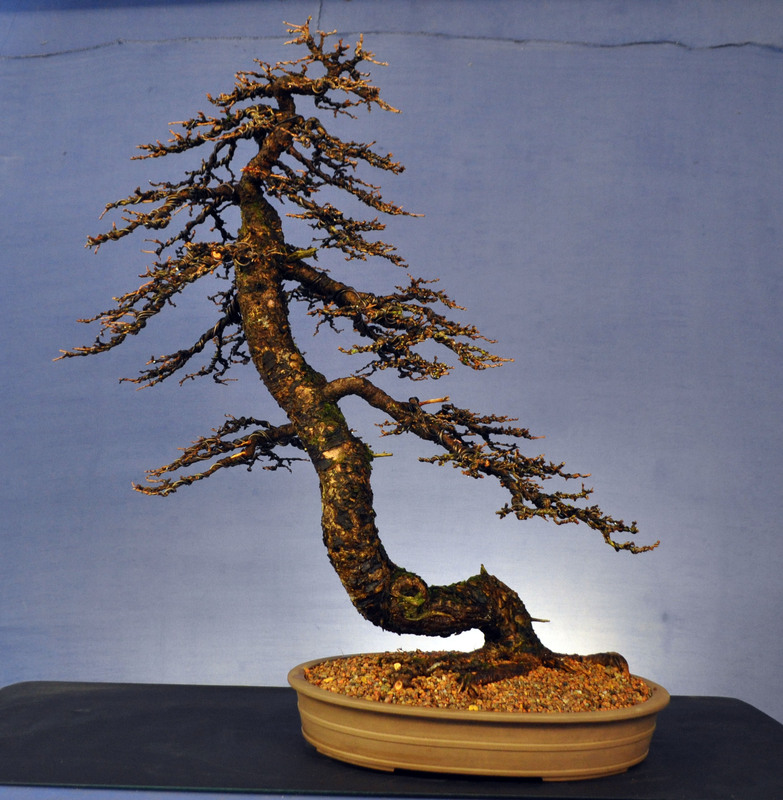 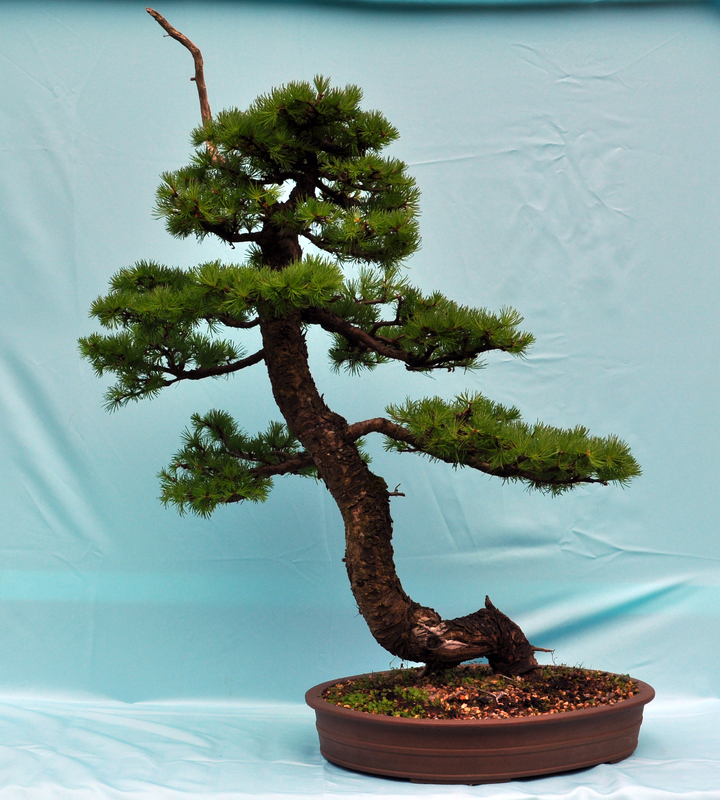 The tree was selected for Bonsai30 due to it’s quality and unusual shape and represents both Stephen and Vanessa Dodds’s time in the NIBS.